Well, here we go. Another summer has come and gone in Northeastern Ohio. To be fair, the last few weeks have been quite warm, but as the temperature starts to drop you’ll seek out ways to stay warm. 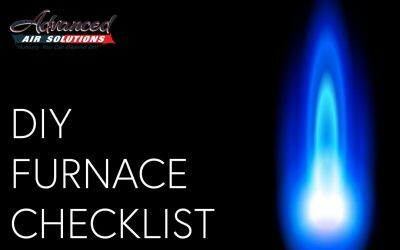 Space heaters can make life a little easier, and Advanced Air Solutions has put together a helpful checklist to help you before and after making that inevitable purchase. 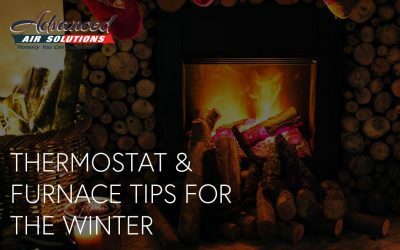 Here are a few tips on what to look for when buying your new heater, the safety features and precautions, and where to place it when you get it home. Tip #1. Buying your space heater. What to look for. So, you’re ready to purchase a space heater. First, ask yourself a few fundamental questions. 1. What kind of heater do I need? Selecting the appropriate heater for your room is the best way to ensure efficiency and keep money in your wallet. There are generally 3 choices when shopping for today’s space heaters. 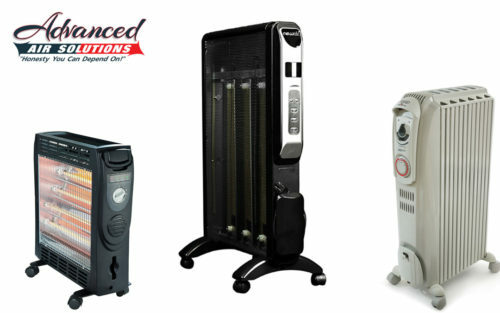 a. Convection heaters – The Upside: Generally provide your space with even, whole-room heating. Good for heating an entire space, bedrooms, living spaces, etc. The downside: Rooms with inadequate insulation, drafts, or higher ceilings are a bit trickier to heat with a convection type of space heater. b. Radiant heaters – Deliver more precise, spot heating. 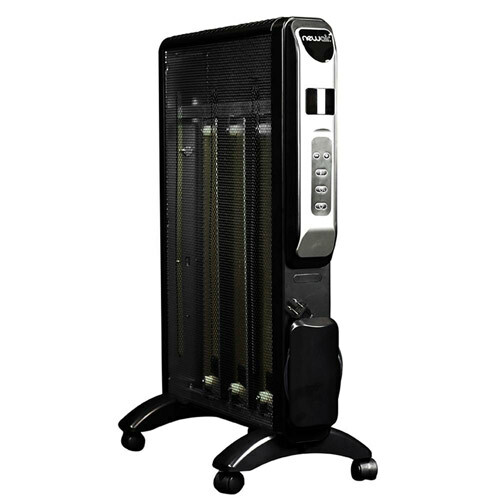 Radiant space heaters transfer energy and warmth directly at objects. A good example is a campfire. The downside: Radiant type heaters struggle in places where you want to move from spot to spot and still feel the overall warmth. Because the heat is more streamlined and focused, they can’t warm anything outside of their directional view. c. Micathermic heaters – The Upside: A combination of convection heating and radiant heating that provides quick extensive heat while saving space, usually more efficiently. 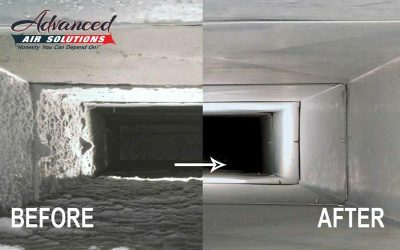 Micathermic heaters also will allow the air in your home to retain moisture, unlike convection heaters, which typically dry out the space in which they operate. The downside: Price. Micathermic heaters are the more expensive of the three listed here. 2. What is the heating capacity of the unit? When buying a personal space heater, it’s essential to consider is the size of space/room/floor the heater will cover. This is determined by wattage rating. 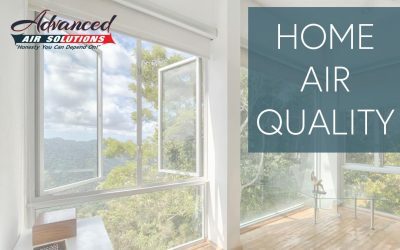 Typically speaking, outputs range from 400 to 1,500 watts, and generally, A space heater will use 10 watts of power for each square foot of your space. So, to put that into perspective, a typical 1000-watt heater will cover rooms as large as 100 square feet when used as your only source of heat. Of course, this is a generalization, some space heaters like the micathermic are more energy efficient, but you can start with this basic formula. 3. 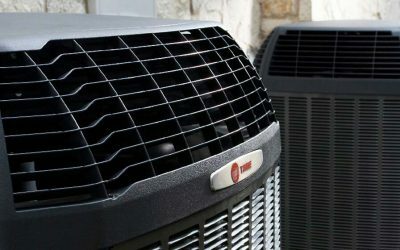 What is the space heater’s efficiency? 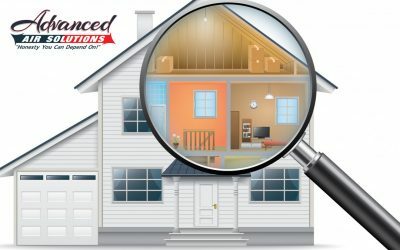 Concerned about maintaining low energy costs? You should be. That’s probably part of the reason you are reading this! It’s always a good idea to compare heaters for efficiency and choose the right heater for your space, wallet, AND the environment. To keep your bills low, it’s wise to choose a space heater that has a few special features like an energy saving mode, adjustable thermostats, and timers. 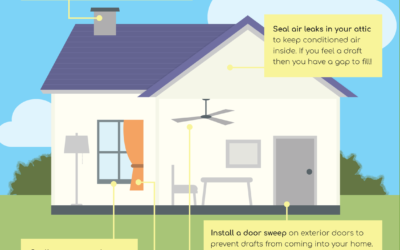 These can be used in conjunction with your own personal judgment and energy-saving tips to minimize the power usage and contribute to the longevity of your unit. Remember, space heaters are meant for one thing, to heat up smaller, usually more confined spaces. They are not designed, nor meant to, heat up entire homes. 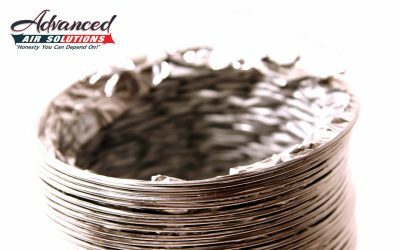 They work best at keeping your desk, couch area, or reading chair comfortable during the colder months. Keeping this in mind, look around the room in question and decide where your new space heater will work best to keep things toasty. It would be wise to choose an area that has only one door, or, is somewhat closed off drafts to better trap in the heat. In addition, be sure that the heater is placed on a hard, level surface. Hardwood floors work great, and carpet will suffice as long as it is a low pile. 1. Keep the heater away from the walls. Those are “energy draining zones”, and usually contain things like curtains, drapes, animals, and cords. 2. 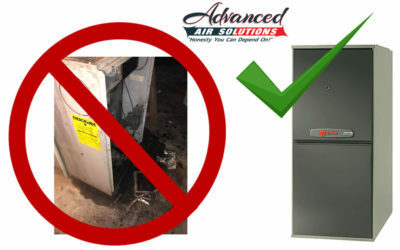 Do not use your space heaters in wet areas like the kitchen and bathrooms, you are asking for certain trouble! Tip #3. THE SAFETY FEATURES! Let’s be honest, space heaters haven’t’ always been considered the SAFEST things to use in our homes, garages, or offices. 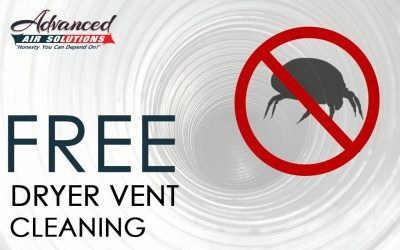 Although they can be very effective, they do have a reputation as a potential fire hazard. of this “bad press” is due to operator error and poor judgment. If not properly monitored, they can ruin your day. Therefore, it’s essential when purchasing your new heater to consider the safety features that come with the unit. 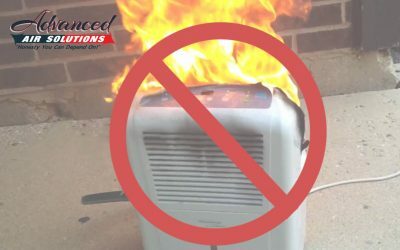 Many manufacturers equip space heaters with cool-to-the-touch surfaces, internal “tip-over, power off” defaults, overheating protection to prevent unsafe temperatures, touch sensors (which shuts the unit off if the grill is touched, to prevent burns) and other invaluable safety functions that will not only keep you safe but worry free. 1. Keep anything that can burn at least 3 feet away, including kids! 2. Do not use extension cords and do NOT put the cord under the carpet, it can wear away the cord’s insulation and catch fire. 3. Turn space heaters off going to bed. Seems obvious, but this one is widely disregarded. 4. Install smoke and carbon monoxide alarms. Test monthly. 5. Read and follow ALL manufacturer’s directions. You can certainly take advantage of the benefits of a space heater by using it as a temporary bandage for spot heating while leaving the rest of the house a little cooler. But remember, if you are turning to a space heater because your home is constantly cold, you’re going to spend a lot more money and energy in the long run than you need to. They are not certified in the US Department of Energy’s EnergyStar program because let’s face it, they aren’t very efficient. 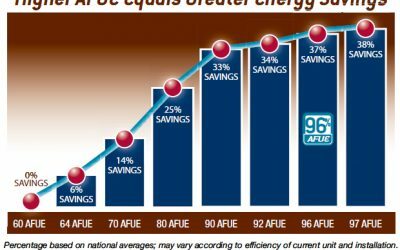 They certainly aren’t as efficient as a central heat pump or gas furnace (yes, even the older models). 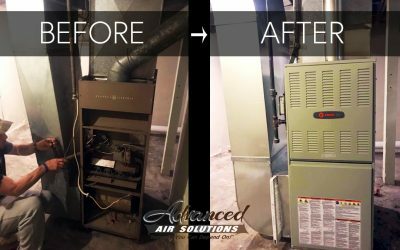 So, spend a small amount of money to insulate your home & get that older model furnace upgraded or maintained properly by the pros at Advanced Air Solutions. We have amazing service plans priced at only $160 per year, covering the following. Contact Us today and get started on saving money.